Dynex manufactures hydraulic components and systems for use on mobile and industrial machinery. These pumps, valves, motors and power units have been sold worldwide for over 60 years. 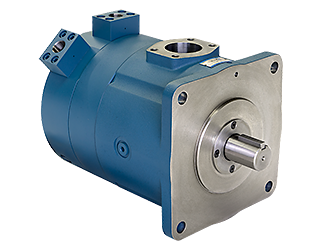 Products include high-pressure piston pumps, high-pressure directional and pressure control valves, heavy-duty piston motors for demanding conditions, and electrohydraulic actuators for remote control. Dynex also builds standard hydraulic power units or specialized systems for demanding conditions including high pressure and special fluids. A 15 000 psi (1040 bar) Pump with multiple outlets.